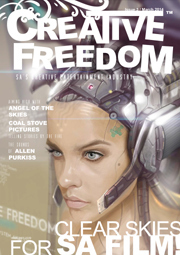 Creative Freedom magazine #3 is available for free! 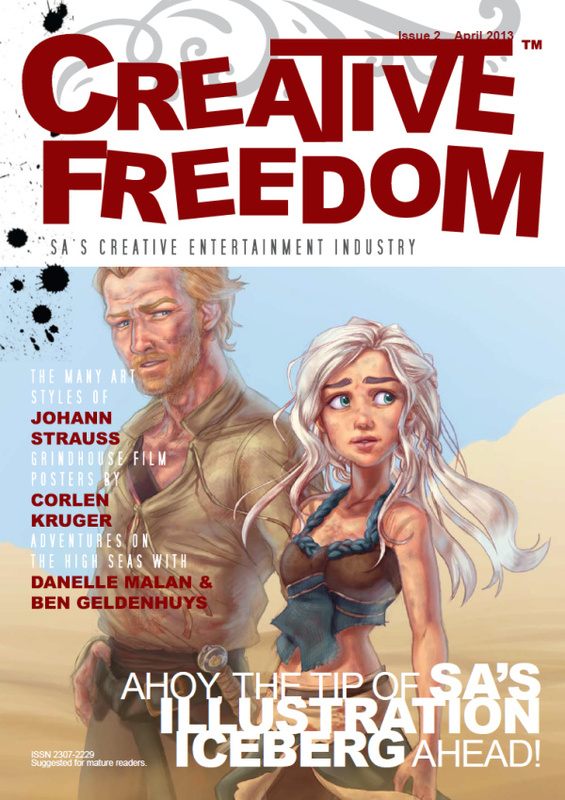 Creative Freedom is about the creative people and their projects in the entertainment industry in South Africa. 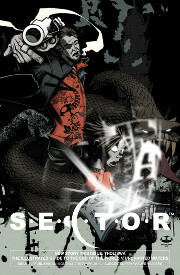 It is about cool art, comic books, video games, movies, animations, television shows, studios, events and any projects that are interesting and creative in South Africa. On the website you can also use the Creatives Directory to find creatives for hire in South Africa, and submit your own details if you are a creative for hire. 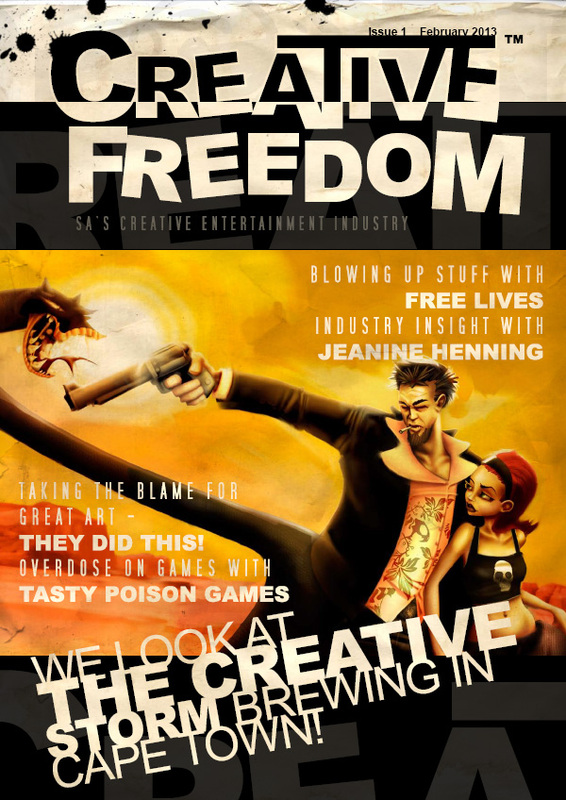 Creative Freedom magazine #2 is available for free! 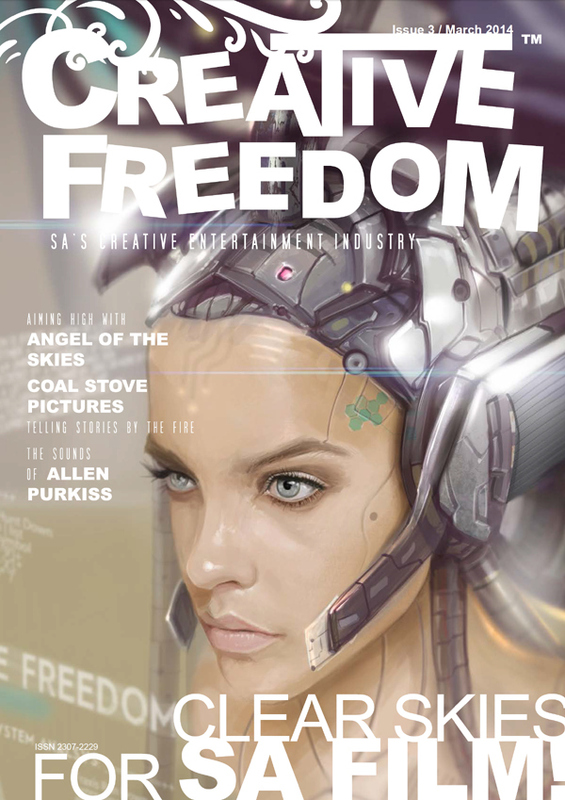 The first issue of Creative Freedom magazine is available for free!